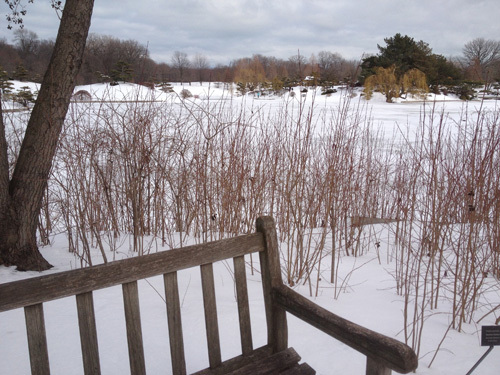 After having a pretty dull winter regarding snow, March in Chicago has brought some of the white stuff… finally! Amy & I have always enjoyed hiking out in the snow and enjoying nature, and thankfully, Wesley seems to be on board as well. 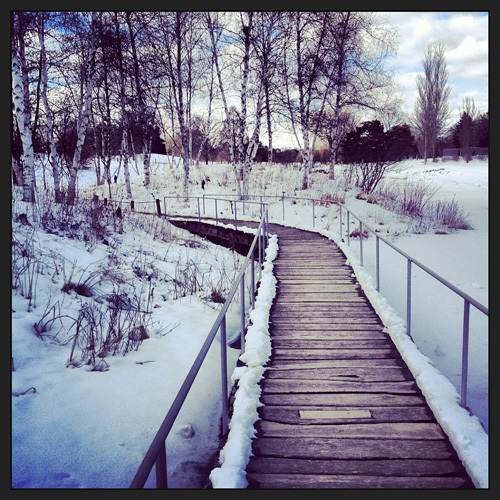 Here are some shots from our snowy adventures around the neighborhood and up at the Chicago Botanic Garden. Now that I've got some downtime after being hit by a car while riding my bike (we'll save that story for later), I figured it would be a good time to look at some other things we did over the past few months. 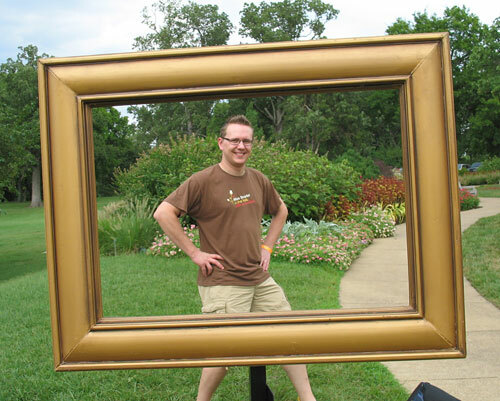 It's another "Summertime Out and About" post! 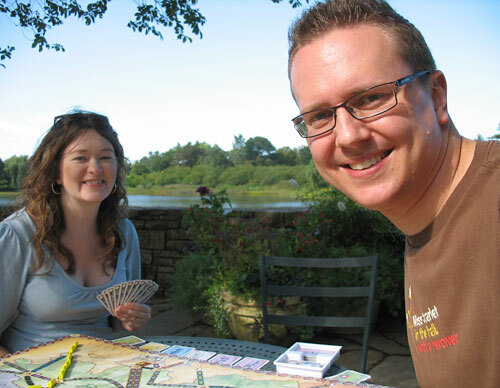 Ticket to Ride at the Botnaic Gardens! 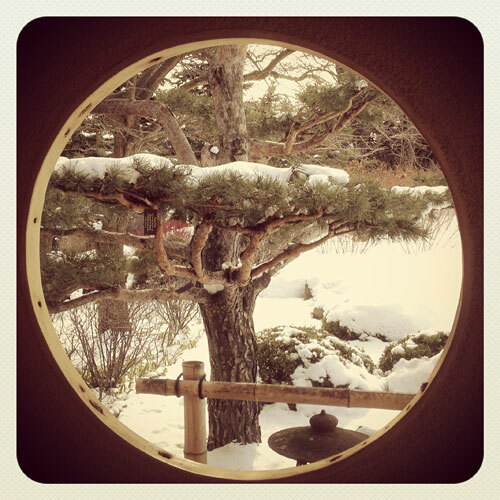 Smoky Siesta: The Wrong Side Of The Mountain? Continuing our Smoky Siesta story, we left off in Nashville, after spending an evening enjoying some great BBQ and music. Before continuing on to the Smoky Mountains, we spent a little more time in Nashville the next day by visiting the Cheekwood Botanical Garden and Museum of Art. Since we've done a lot of the normal tourist stuff in Music City in the past, it was nice to explore something different and new. 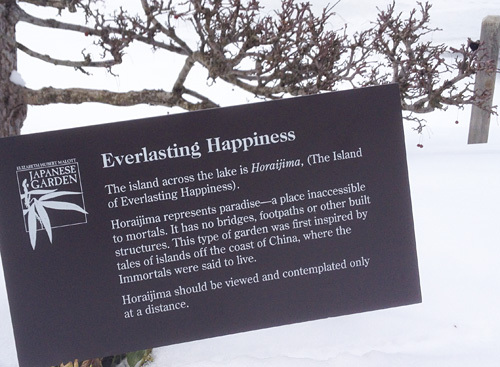 Also, given that we recently became members of the Chicago Botanic Garden, we got discounted admission because of a reciprocal admissions program run by the American Horticultural Society. In this case, membership actually did have its privileges! 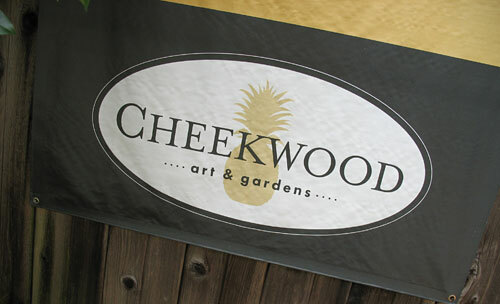 Cheekwood is a lot different from the botanical gardens I'm familiar with. In reality, it's more like a historic estate that happens to have gardens on the property. In this case, that estate was owned by a couple who made a lot of money after creating Maxwell House coffee… a brand that originated in Nashville (named after the Maxwell House Hotel downtown, no longer in existence). Eventually, the 55-acre property was opened to the public in 1960. 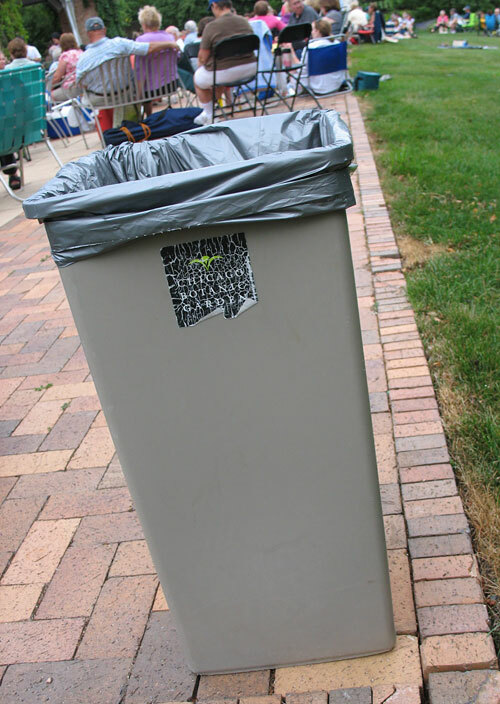 OK, so maybe it's only one trash can. But I couldn't resist! Don't worry, I won't be launching a MagicalTrash.com spin-off any time soon! 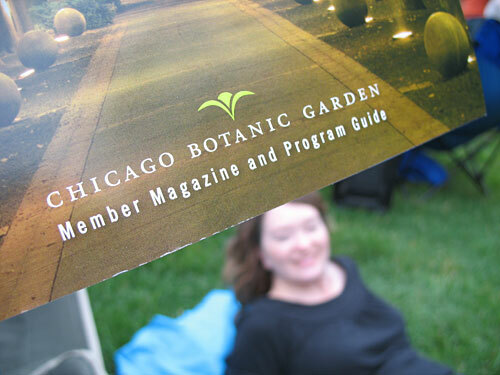 Anyway, it was another "Date Night" at the Chicago Botanic Garden for Amy & I this week. A swing band by the name of Bopology was performing, so we packed a dinner and enjoyed a cool evening. 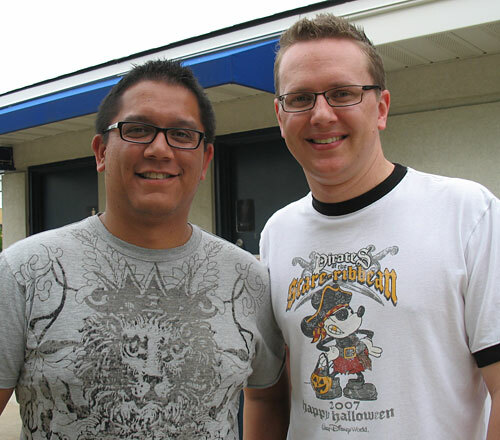 Recently my friend Henry Zonio was in town and visited with us for a couple days. Here's a former children's pastor who moved his family from Canada to the Bay Area to pursue higher education. We're often a stopover when he passes through the Windy City. In exchange, I send him some beverages to review from time to time! 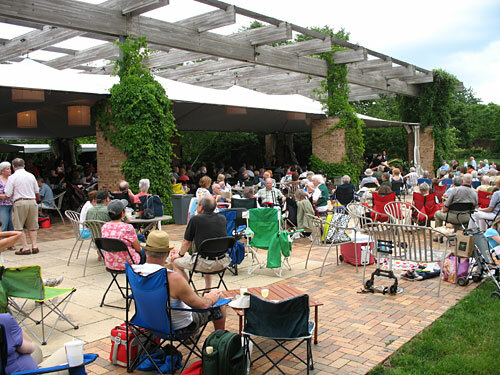 Summer officially started today, and we celebrated by heading up to the Chicago Botanic Garden for some after-work music as part of their Summer Evenings activities. On Tuesday nights they host "Music on the Esplanade". This time around it was the bluesy Guy King Band. Because of a private event taking place on the Esplanade, they moved the music over to the semi-enclosed McGinley Pavilion.